The illustrator is Erin E. Stead. Amos McGee, a friendly zookeeper, always made time to visit his good friends: elephant, tortoise, penguin, rhinoceros, and owl. But one day he woke up with a cold. Though he didn't make it into the zoo that day, he did receive some unexpected guests. The illustrator is Jerry Pinkney. The illustrator is Beth Krommes. The illustrator is Brian Selznick. The illustrator is David Wiesner. A wave deposits an old-fashioned contraption at the feet of an inquisitive young beachcomber. Its a Melville underwater camera, and the excited boy quickly develops the film he finds inside. The illustrator is Chris Raschka. 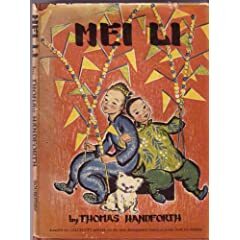 On the title page, a little girl springs away from her parents; turn the page, and the reader sees only her arms on the gate, the reader taking her perspective as she looks over to the white clapboard house where her Nanna and Poppy's faces stare equally eagerly out of the Hello, Goodbye Window. The illustrator is Kevin Henkes. The illustrator is Mordicai Gerstein. The illustrator is Eric Rohmann. The pigs escape the wolf by going into another world where they meet the cat & the fiddle, the cow that jumped over the moon, and a dragon. The illustrator is David Small. The illustrator is Simms Taback. The illustrator is Mary Azarian. The illustrator is Paul O. Zelinsky. The illustrator is David Wisniewski. The illustrator is Peggy Rathmann. The children at Napville Elementary School always ignore Officer Buckle’s safety tips, until a police dog named Gloria accompanies him when he gives his safety speeches. The illustrator is David Diaz. The illustrator is Allen Say. A Japanese American man recounts his grandfather’s journey to America which he later also undertakes, and the feelings of being torn by a love for two different countries. The illustrator is Emily Arnold McCully. Mirette learns tightrope walking from Monsieur Bellini, a guest in her mother’s boarding house, not knowing that he is a celebrated tightrope artist who has withdrawn from performing because of fear. The illustrator is David Macaulay. The illustrator is Ed Young. The illustrator is Stephen Gammell. The illustrator is John Schoenherr. The illustrator is Richard Egielski. Al is a janitor who lives with his dog Eddie. One day, a funny-looking bird sticks its head through Al's bathroom window and proposes a journey to a terrific place where there are "no worries" and "no cares." Al agrees and takes Eddie with him. What the two experience is paradise, but it soon gives way to the uncertainties of being away from home. The illustrator is Chris Van Allsburg. The illustrator is Trina Schart Hyman. Adapted by Margaret Hodges from Edmund Spenser's Faerie Queene, this is the story of George, the Red Cross Knight, who slays the dreadful dragon that has been terrorizing the countryside and brings peace and joy to the land. The illustrators are Alice and Martin Provensen. A biography of the man whose fascination with flying machines produced the Bleriot XI, which crossed the English Channel in thirty-seven minutes in the early 1900's. The illustrator is Marcia Brown. Translated from the French original by Marcia Brown, this is a free verse evocation of the eerie, shifting images of Shadow which represents the beliefs and ghosts of the past and is brought to life wherever there is light, fire, and a storyteller. The illustrator is Arnold Lobel. The illustrator is Barbara Cooney. The illustrator is Paul Goble. Though she is fond of her people, a girl prefers to living among the wild horses where she is truly happy and free. The illustrator is Peter Spier. Retells in pictures how a pair of every manner of creature climbed on board Noah's ark and thereby survived the Flood. Includes Peter Spier's translation of The Flood, by Jacobus Revius. 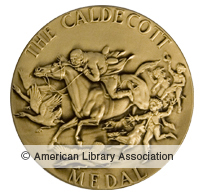 The illustrators are Leo and Diane Dillon. This book explores traditions and customs of 26 African tribes beginning with letters from A to Z. This West African story reveals the meaning of the mosquito's buzz. The illustrator is Gerald McDermott. This story is an adaptation of the Pueblo Indian myth which explains how the spirit of the Lord of the Sun was brought to the world of men. The illustrator is Margot Zemach. The spinning and knitting the devil agrees to do for her win Duffy the Squire's name and a carefree life until it comes time for her to guess the devil's name. The illustrator is Blair Lent. The illustrator is Nonny Hogrogian. After the old woman cuts off his tail when he steals her milk, the fox must go through a long series of transactions before she will sew it back on again. The illustrator is Gail E. Haley. The illustrator is William Steig. The illustrator is Uri Shulevitz. The illustrator is Ed Emberley. The illustrator is Evaline Ness. Samantha (known as Sam) is a fisherman’s daughter who dreams rich and lovely dreams--moonshine, her father says. But when her tall stories bring disaster to her friend Thomas and her cat Bangs, Sam learns to distinguish between moonshine and reality. The illustrator is Beni Montresor. The illustrator is Maurice Sendak. The illustrator is Ezra Jack Keats. A fable from Ancient India about a hermit's pet who changes from mouse, to cat, to dog, to tiger, becoming increasingly vain in the process. The illustrator is Nicolas Sidjakov. A Russian folktale about an old woman's endless search for the Christ child. The illustrator is Marie Hall Ets. Ceci anxiously awaits her first posada, the special Mexican Christmas party, and the opportunity to select a piñata for it. Adapted by Barbara Cooney from the 'Nun's Priest's Tale' from the Canterbury Tales. A sly fox tries to outwit a proud rooster through the use of flattery. The illustrator is Robert McCloskey. The illustrator is Marc Simont. A simple and elegant story about the many pleasures a tree provides. The illustrator is Feodor Rojankovsky. An illustrated version of the well-known American folk song about the courtship and marriage of the frog and the mouse. The illustrator is Ludwig Bemelmans. The illustrator is Lynd Ward. The illustrator is Nicolas (Nicholas Mordvinoff). Two dogs who have found a bone can't decide who should eat it. The illustrator is Katherine Milhous. One Easter morning, Katy and Carl went on an egg hunt through Grandmom's house. When Katy went up to the attic she discovered a very special set of eggs. Grandmom had painted them when she was a little girl. And now, she hung them from the branches of a tiny tree -- an Egg Tree! So began a very special Easter tradition. The illustrator is Leo Politi. Sad when the swallows leave for the winter, young Juan prepares to welcome them back to the old Calfornia Mission at Capistrano on St. Joseph's Day the next spring. The illustrators are Berta and Elmer Hader. The illustrator is Roger Duvoisin. The illustrator is Leonard Weisgard. Once there was a little island in the ocean. That little island changed with the seasons and the storms, it changed from day to night. Then one day a kitten visited the little island and learned a secret. The illustrators are Maud and Miska Petersham. A collection of classic playtime rhymes including "The Bear Went over the Mountain," "Lazy Mary," and "Yankee Doodle." The illustrator is E.O. Jones. A prayer filled with familiar things - bed, shoes, friends and parents. The illustrator is Louis Slobodkin. The illustrator is Virginia Lee Burton. A little house is built in the country, but soon a city is built around it. The little house dreams of someday being out in the country again. The busy Boston streets are too dangerous for eight little ducklings! But with a little help from a friendly policeman Mrs. Mallard and her family arrive safely at their new home in the public garden. The illustrator is Robert Lawson. This is an illustrated history of Robert Lawson's family. The illustrators are Ingri and Edgar Parin d'Aulaire. 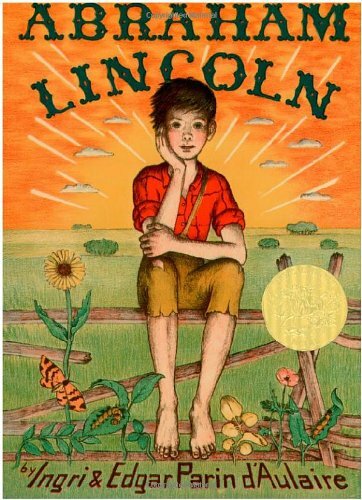 Text and illustrations depict the life of a boy born on the Kentucky frontier who became one of the most beloved presidents. The illustrator is Thomas Handforth. After spending an eventful day at the fair held on the Chinese New Year's Eve, Mei Li arrives home just in time to greet the Kitchen God. The illustrator is Dorothy P. Lathrop. Thirty richly detailed black-and-white drawings illustrate the stories of the Creation, Noah's Ark, the first Christmas, and many others. The text is from the King James Bible.